In everybody’s live in our culture assessment plays a vital role. Based on the results of assessments decisions are made with far-reaching consequences for the person in question. Most often both level as direction of further studies is based upon assessments. Therefore, of those who are involved in assessments a high degree of care and expertise is asked. 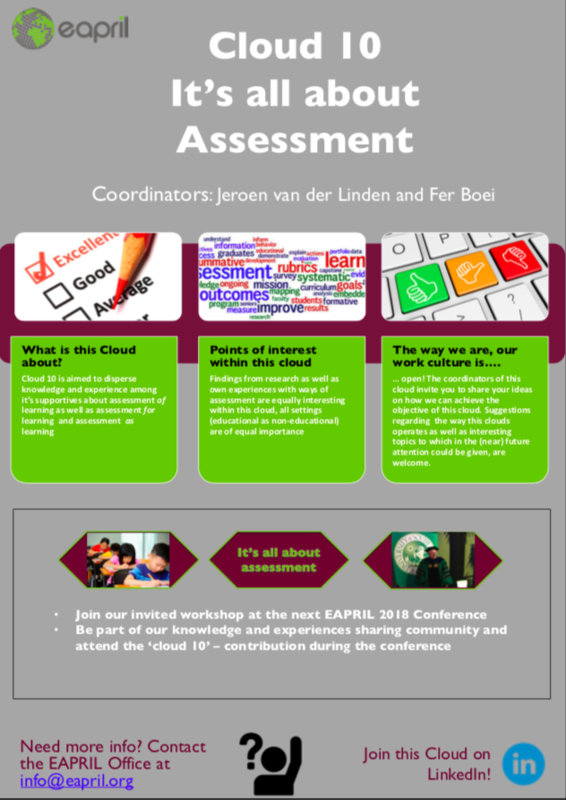 Cloud 10 is aimed to disperse knowledge and experience among its supportives about assessment. Within the cloud attention is given to assessment oflearning as well as assessment forlearning and assessment aslearning is.